After some time off and a lot of fun at Gen Con, we take a look at the new 4E version of Dark Sun and explore ideas for getting a campaign started. I could have really missed out on Dark Sun. When I first heard about it, back in 1991, it sounded like a munchkin product that would be all about too-powerful PCs. “No thanks”, I thought. When the players in my game bought the set for me I had little recourse but to take a closer look. I was blown away by the incredibly interesting setting. Everything was so different from anything I had played or run before! The years shot by and it became like an old friend. When support for Dark Sun ended, it was a complete surprise. As luck would have it, the Internet was developing and fans found each other on listservers. We would trade mails with homebrew rules, new classes, campaign ideas, and so on. 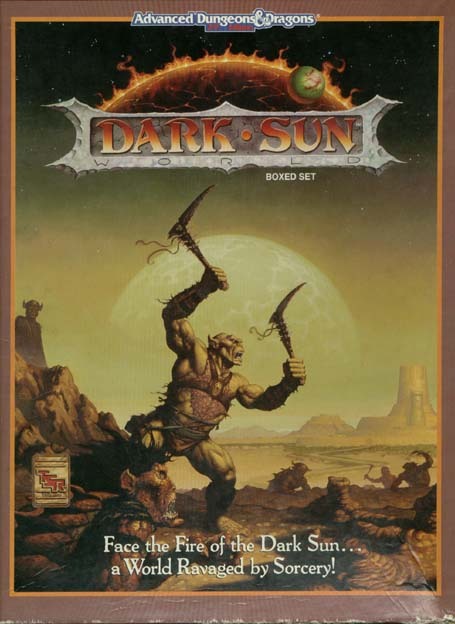 Dark Sun lived on for me, if only through the listserver as I had to put aside gaming during graduate school. I even moderated the list for a few years and wrote the Net Libram of Athasian Ecology. 3rd edition came and went without any support beyond a few Dragon magazine articles, but some of the listserver guys kept it alive and built Athas.org. At Gen Con 2009, Wizards announced Dark Sun would be back for 4E. Now, a year later, I have Dark Sun 4E sitting on my desk! Moreover, I have been running Dark Sun through D&D Encounters for 10 weeks, played a one-shot at D&DXP in February, have seen Dark Sun Arena (and will run it at PAX), and have planned a slot 0 for the upcoming Dark Sun gameday at my Favorite Local Gaming Store (FLGS). A folder on my PC is filled with ideas for a campaign I will soon run. You have to step back and realize how incredible this is. The world was as dead as Spelljammer! The last product was in something like 1996, 14 years ago! That is a very long time to make it by on old product and e-mails, but we did it. And because big fans like Chris Flipse stepped up and kept the game going, WotC noticed. In the Dark Sun seminar podcast you will hear the designer thank Athas.org and say DS would not be here without the devoted fans. Take a bow, folks, take a bow. This is what changed our world! I have many emotions when I look at the 4E Dark Sun books before me. Most of all, I am just glad that gamers of generations old and new can adventure in the sands once more. This is a truly cool world that can stretch the imagination. To go in deep is to never forget its unique character. From the variations in terrain, to the different city cultures, to new weapons, to how magic is treated, to how the different ages hold glimpses of better times… it is a remarkable world with many lessons for a game. I’m glad everyone can share in this. Maybe it is because of this sentimentality, which I now promise to set aside, that I don’t really have big criticisms about the books. Oh sure, I don’t get why the word “goliath” needs to be mentioned more than once and I would like thri-kreen to have an elongated abdomen and walk on four legs… but when I look at the books I am actually impressed by how much is retained from the original setting. In particular, the brutality of the setting has been preserved despite 4E usually being a very politically correct product. Slavery, half-elf runts, cruel nobility, assassin bards… the vast majority is intact. Yes! I have a huge abdomen! I lay eggs! I have no discernible gender! With that in mind, I want to cover two additional topics. The first is about canon. The second is about getting started with a Dark Sun campaign. Most established campaign settings accumulate a lot of canon. From saying “Well met” to great someone in Forgotten Realms to understanding the Temple of Elemental Evil and the Elder Elemental Eye in Greyhawk, canon is made up of all the little bits of history, the ideas of what is prevalent, and the guidelines as to what should and should not be part of a setting. A lot of people struggle with canon. For a new player or DM, it can seem like a tall mountain to climb and as if any step taken may bring forth from their more schooled peers. Chris Sims argues against absolutes in settings, saying flexibility is better for the game. I embrace canon. I love it. I eat it up with spoons. I yearn for it in sourcebooks, Dungeon articles, adventures, and random seminars. Canon gives the setting character and flavor. It gives it strong differences. In almost all cases, the absolutes have a great effect. Goblins are great classic foes… but we really can do without them in a single campaign world. Knowing that a species is gone, exterminated by an ancient Champion before they became a Sorcerer King (or died trying to get there) is part of what makes the world so very different. When you look at canon you will find huge open areas that you can work with without conflict. Do you really like goblins? If you like their 4E powers, you can grab those and reskin them as a type of silt runner or other Athasian race. They could make good deep-desert twisted halflings, for example. If you like the concept, what they represent, there are several Athasian races that fit the bill – belgoi, gith, wild halflings, hejkin, and silt runners fit the same gaming niche. You can also make your own, which is easy with the Monster Builder or even just the DMG2/MM3 rules. The absence of canon, maybe especially of absolutes, is far worse than their presence. Canon stimulates the mind. This is a world where the kings of the land are racist xenophobic murderers that each were assigned a species to wipe out. Oh, and they murdered their leader and destroyed the world in the process. That mind-blowing premise does a ton for the setting. Without it you end up with a pretty bland setting. Mike Mearls (in 2005) talks about Eberron lacking enough of a core story, which to me sounds a lot like clearly defined historical and current canon. He goes on to say that Dark Sun abandoned its core story, which it did in the novels. 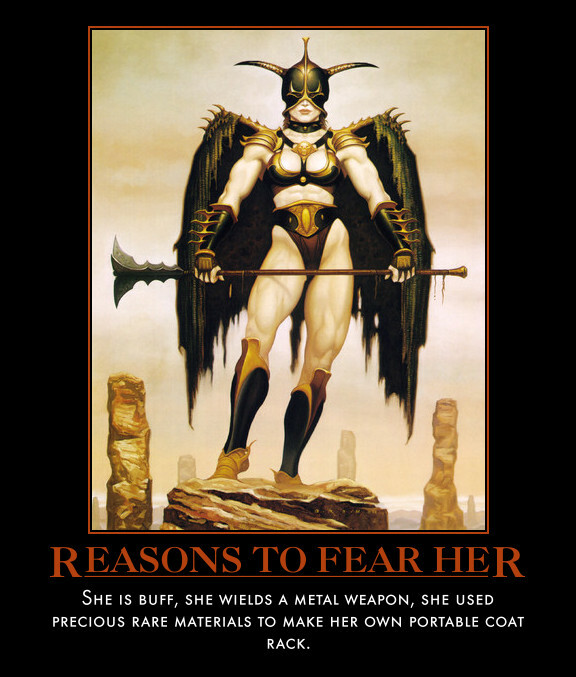 So, my advice with Dark Sun is to embrace the canon you see there, as well as the deeper canon you will find in the old AD&D products. Keep your kank meat inedible, kill off the goblins, and enjoy the incredibly different experience that DS offers. Half Giants used to be very big! Ok, ok, I’m human. I have my preferences, and so should you. Over time, it is important to take a look at canon and adjust it both for your style and for that of your players. You see, that is one of the gifts of canon. Canon forces us to make sure that we come up with something sound. The example of a player wanting a divine character is an excellent example. There are no divine power sources/classes in 4E. 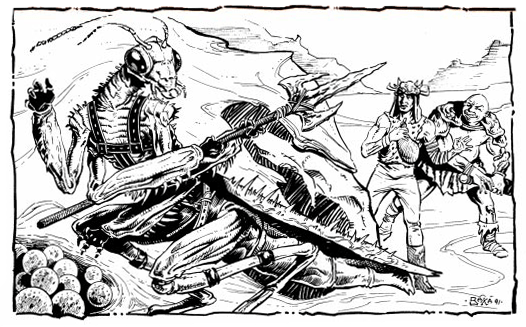 But, in the AD&D version, there were Athasian elemental priests, which is now covered by a theme. An excellent project would be to actually create a cleric variant that is completely elemental-themed. Modify the features, the power source (to primal), the powers, the feats… it could be really awesome. Because of the canon, you will likely treat it carefully and with great thought. The end result will likely be very cool. Similarly, you might very well love goblins enough to bring them back. Maybe Daskinor failed to kill every single goblin. A few that were canny or powerful enough escaped him. Maybe they were protected by someone for some reason. Maybe they were altered in some way. Coming up with this story and with what they are like now will be huge fun, and all thanks to canon. In both cases, what is truly important is that you not just slap in some goblins in an encounter or allow any player to bring a cleric. To do so would cheapen the setting and even ruin it. Love canon. Hug it. Then have a long conversation with it and impose your will upon it. While you should respect and admire canon, it is your (and your fellow players’) game. I’ve allowed myself to rant. Therefore, Campaign ideas will need to be a separate blog. There are a lot of excellent ways to start a DS campaign. It isn’t in a tavern answering a wanted ad for adventurers! A world as unique as Dark Sun deserves a fresh approach that brings your players into the setting. I can’t wait to talk about them… except I need to go help make dinner. This entry was posted on October 2, 2015 by Alphastream and tagged 4E, RPG History, Setting.